If we think of the Common Core as a bucket or a banner instead of pretending it is about the transmission of knowledge, its function becomes much clearer. All the changes that would cause an outcry if pursued separately, and in many cases already have created widespread popular rejection, get to Come on Down Anyway as the game show announcer would say. A science fiction geek might explain the Common Core as a cloaking device allowing controversial shifts to be put into place without exposure. Especially if the new materials are all “web-based” and just waiting to be downloaded. Now before I start raising anyone’s blood pressure by describing the ABF’s intentions, let’s go Down Under to a K-12 pilot Global Change Agent Michael Fullan was involved in about a decade ago. It was called the Dynamic Paradigm of Learning and Change and it “identifies key aspects of the need, nature, and means of changes in identity, dispositions and orientations to the world and others, to be required of educators [that’s the real reason why tenure is being taken away or greatly restricted now in the US], in order for them to be able to assist young people [that would be the children we entrust to adults and pay vast sums to actually know something] to achieve similar transformational outcomes.” Got that? Psychological changes. Shifts in values, attitudes, and how the world and other people are now to be perceived. Education Queensland came right out and phrased the kind of Learning and Personal Change being sought in the individual student through K-12 education as a “new way of being” to be “required” of teachers and students. Remember Backward Mapping from our previous post? Well, Perspectives and the ABF offer “the opportunity to infuse CCSS implementation with social justice values.” How? Well, remember Literacy is now to be taught Across the Curriculum and the ABF has 4 domains: Identity, Diversity, Justice and Action. Does that sound alarmingly similar to “identity, dispositions and orientations to the world and others” to anyone else? Each teacher now gets to, or must if his or her principal insists, use the Anti-bias anchor standards and “grade level outcomes of the ABF for backward planning” and “engage a spectrum of social justice topics and cultural and [italics in original] social emotional competencies–critical in today’s diverse classrooms.” Yes, that would be the real reason to eliminate tracking of the more academically talented and to require a Whole Child Classroom focus. If you think this is an outlier, remember that the NEA worked with the SPLC on its CARE Guide http://www.invisibleserfscollar.com/shaping-a-mind-is-more-important-than-stuffing-it-grasping-the-psychosocial-key-to-fundamental-transformations/ . The “rich text” available for download highlights and fosters the “exploration of identity, authentic accounts of real-life experiences, intergroup understanding, historical empathy, the awareness of prejudice and injustice, individual and collective struggles against injustice and–finally-action against injustice.” They do mean that latter part about forcing action by the way as in “Students will plan and carry out collective action against bias and injustice in the world and will evaluate what strategies are effective.” Hey, you didn’t think ‘engaging’ classwork was just going to be about video gaming, did you? And we can all be relieved that the Perspectives topics “will go beyond the more common issues of race and ethnicity to include wealth and poverty, disabilities, religious discrimination and immigration.” Plus, as an added bonus to make sure that the desired changes in consciousness do occur, Perspectives “encompasses…less covered, equally important themes like gender, sexual orientation and class.” It is supposedly the first “curriculum of its kind to offer an explicit blueprint designed to move students into the position of advocate.” Not to worry though. I can find no indication that the curriculum includes a Che Guevara beret kit or Mao’s Little Red Book as a Graphic Novel to hammer home that these are required orientations and dispositions. Feel the Outrage! is such a useful tool if transformative action is the End Game being sought. The outrage might be misplaced. It may be destructive, but those are mere details. I can just imagine how students who have been piloting this framework and thus getting to use the classroom over years to “identify figures, groups, events and a variety of strategies and philosophies relevant to the history of social justice around the world” would feel if a School Board then felt empowered to step in and tell them to remember the parts of American History that encourage patriotism. Walkout maybe? To commemorate what Gandhi would have done? Any other parent think they might slam the door in the face of a child “inspired to go home and talk to their parents about purchasing clothes from companies that practice ethical manufacturing”? Of course that confrontation may be the first alert to the nature of the fundamental psychological changes going to the core of a child’s ‘being’ occurring in the classroom. By then it may well be hard to reverse, which is, I suspect, a big part of why the Common Core label makes such a fine cloaking device. “Web-based” means even the School Board may not know. I want to close with some related confessions that fit with the desired changes being sought that is probably not on your radar either. In 2004, a book by Seattle educator Barbara Ray Gilles called Nurturing Civilization Builders: Birthing the Best Schools in the World. Gilles was kind enough to admit why we are hearing so much about collaboration as a necessity and the need for schools to create Communities of Learners with a single shared understanding after perspectives have been shared. She pointed out that “school classrooms encompass the largest community that young people experience.” If changes in “identity, orientations and dispositions” are sought, and globally that is in fact what the new purpose of K-12 education has quietly become, then the behavioral psychologists have come to recognize that the herd effect is needed. It both forces the change initially and then reenforces it over time. Gilles again: “when you combine the individual wills of each person in a group focused on a unified goal, a ‘group will’ occurs that is greater than any individual. This collaboration is necessary to bring about a massive transformation in consciousness.” Gilles called the End Game she was backward mapping from Living Democracy. It fits with the vision of a New Kind of World we keep encountering as an End Game. Her motto of “Nurturing the compassionate genius within while co-creating a world that works for all” also fits with what SPLC claims is possible and the new goals of education change. Gilles noted that “our values determine what we pay attention to, which in turn determine our behavior and create our habits.” That is true and there can be no question (going back to Milton Rokeach and his definition of Competency) that changing values is the fundamental purpose of all these planned classroom shifts. 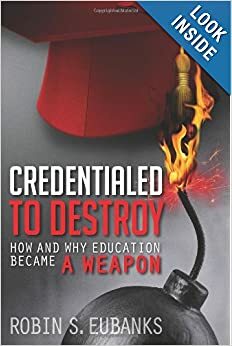 The question becomes whether the World actually will change if this becomes the purpose of K-12 education globally or whether we are simply disarming our young people mentally and psychologically. Will they be capable of dealing with the Evil and Bullies of the World? With all our talk of honoring diversity and challenging oppression and injustice, aren’t we pushing an educational template that simply makes it easier to oppress and dominate most people? If the individual mind is disarmed, what will be our real recourse? Sometimes people feel deeply shaken by the things I write about. Me too, except there is no ambiguity in what is being sought by the time I am willing to discuss it in public. If the declarations appear to be Tragic or even just a horrifically wasteful idea, someone needs to be bringing these intentions into the sunlight of public scrutiny in time. So after an admittedly needed rest to watch the sand and surf and mull over the enormity of the materials I have, here we go again. Not in the Competency vision. It is purely grounded in a belief that in the 21st Century, all over the world, government officials at all levels get to pick out the desired “sentiment and belief [that] can be adequately entrenched in the human mind” in order to “determine conduct” in the manner desired for the new vision of society and the economy laid out. Political power is now mandating in advance what is to be acceptable individual behavior, beliefs, and values. Since that sounds unabashedly authoritarian to anyone with a modicum of history knowledge, the same goals get hidden under an invisibility cloak with terms like standards, learning, or Competency. That’s the vision that K-12 education must now engineer, which would certainly explain the need for a student-centered behavioral approach instead of the traditional subject-matter emphasis. It also explains why we just keep running into a required communitarian orientation that students are to demonstrate daily. Again UNESCO reminds us that “education is not only acquiring academic knowledge but the way to prepare young people for work and living in the society.” Of course that would be the new view of society so we are Backward Mapping twice. Desired Society needs a certain kind of citizen with a stipulated Outlook on what is desirable for the future. That type of citizen then gets sculpted via K-12 Whole Child focused education. No intention though to confess all this to the parents or taxpayers. That’s the vision of society and the economy and our new future that all the education reforms going on globally in both public and private schools are driving towards. There is absolutely no ambiguity whatsoever in what is being sought and why. The only fluctuation seems to be where in the progression a given school, district, or country is. Told you there was no ambiguity and no, we are apparently not supposed to get a copy of that user’s manual. Fortunately for all of us, I found it anyway and laid it out in my book originally. I continue to explore it on this blog. We can only stop what we know exists. The creators of that user’s manual and these visions of the future never wanted us to link K-12 reforms to what was really the End Game in time.